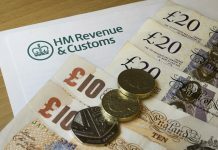 Two years on from the post-election budget shock of the summer of 2015, when George Osborne’s tax raid on landlords was announced, ostensibly to create “a more level playing field” between landlords and homeowners,” the commencement of this measure in April 2017 is finally upon us. The removal of mortgage interest relief will be phased-in over a four-year period allowing time for landlord investors to adjust and come to terms with the new measure – the full effect will not be felt until 2021. Average gearing is low and getting lower. The report puts the size of the average portfolio at 13 properties, unchanged from Q4 2016 and the forecast, they say, remains stable, as landlords indicate they do not expect their property portfolios to change in size over the next 12 months. “Of particular interest in the Q1 2017 PRS Trends Report is the average loan-to-value (LTV) ratio, down to 35%. Since 2013, we’ve tracked a substantial reduction in gearing and the latest figures show 68% of landlords now have borrowings of less than half the value of their investment property portfolios,” say Paragon. “Average gearing is low and getting lower, and this long-term deleveraging demonstrates just how financially conservative buy-to-let landlords are in contrast to the perception in some quarters. 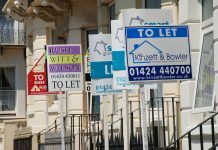 “Looking ahead, it’s realistic to expect this downward drift in gearing to continue as the PRA’s new buy-to-let underwriting standards take effect. 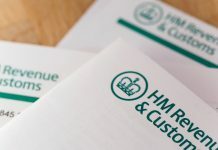 “With the Government’s tax changes now being phased in, we asked landlords taxed at the higher rate whether they believe they understand the personal implications of the changes. Encouragingly, 78% said they did, up from 71% in Q4 2016. “This increase in understanding and the fact that the tax relief changes are now upon us may be the key driver for a steadier picture in terms of overall optimism amongst landlords, preserving a modest upward trend since the beginning of 2016,” Paragon says.